This news story was published on March 18, 2019. 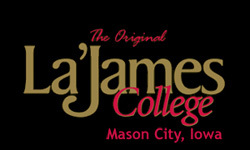 IOWA CITY, Iowa — The University of Iowa men’s basketball team received an at-large berth to the 2019 Men’s Basketball Tournament by a tournament committee that was clearly not impressed by Iowa’s late-season slide. Iowa stumbles into the post-season losing 5 of their last 6 games – they only beat lowly Illinois along the way. Iowa makes its 26th appearance in the tournament, including its fourth under head coach Fran McCaffery. Iowa (22-11) received a No. 10 seed and will play seventh-seeded Cincinnati (28-6) on Friday in Columbus, Ohio. The Hawkeyes and Cincinnati have met eight times previously, with the Bearcats holding a 6-2 series advantage. Cincinnati defeated Iowa 76-64 on March 17, 2005, in the most recent meeting. That meeting came in the first round of the NCAA Tournament in Indianapolis. That is the only time the teams have met in the NCAA Tournament. The Hawkeyes and Bearcats are schedule to meet next season at the United Center in Chicago. · Iowa qualified for four NCAA tournaments over the last six years (2014, 2015, 2016, 2019) and seven postseason tournaments over the last eight seasons (4 NCAA; 3 NIT). · Iowa was nationally-ranked for 16 straight weeks in either the Associated Press or Coaches Poll (Nov. 19, 2018 – Feb. 25, 2019). · Iowa won four games over NCAA Tournament teams (Iowa State, Michigan, Ohio State, and Oregon) this season. Additionally, the Hawkeyes recorded 11 Quad 1 (4) and Quad 2 (7) victories. · Nine of Iowa’s 11 losses this season came to teams who qualified for the NCAA Tournament. Ten of Iowa’s 11 setbacks were Quad 1 losses. · Fran McCaffery has guided Iowa to 20 wins or more in five of the last seven seasons and finished in the top half of the Big Ten six of the last seven years. Only Michigan State (7) has more upper division finishes than Iowa (6) and Wisconsin (6) since the 2013 season. McCaffery joins Lute Olson (6) and Tom Davis (10) as the only head coaches in Iowa history to reach the 20-win plateau in at least five seasons. 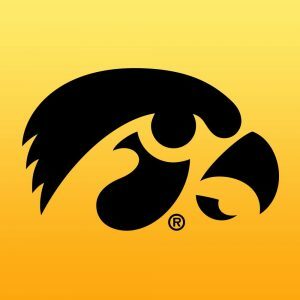 · Iowa lost to Michigan in the quarterfinals for the second straight year. Michigan lost in the title game of the conference tournament after winning the event in 2017 and 2018. · Iowa went undefeated in regular season nonconference play for the first time since the 1986-87 season, winning all 11 games by a margin of 16.9 points. · Iowa was 4-1 in games contested on neutral courts this season. · Iowa (22-11) has improved its win total by eight games after winning 14 contests a year ago. Additionally, Iowa (10) more than doubled its Big Ten win total from last season (4). The overall win improvement ranks among the best in the country among schools from Power 5 conferences.